← A Call to all Baby Boomers . . . Competitive Advantage . . . Recently I spent a week with the senior leadership team of a manufacturing and technology solutions company. Our collective task was to begin a 6 week process of building an aligned, line-of-sight go forward strategy. The week was a great experience, filled with both business and personal insights (on both our parts), focused and heated debates, good deep listening, rollicking evening meals and lots of laughter. The result of this first phase was the initial key elements of a strategy road map and a process for effective execution of that strategy. If you don’t have a competitive strategy, don’t compete! 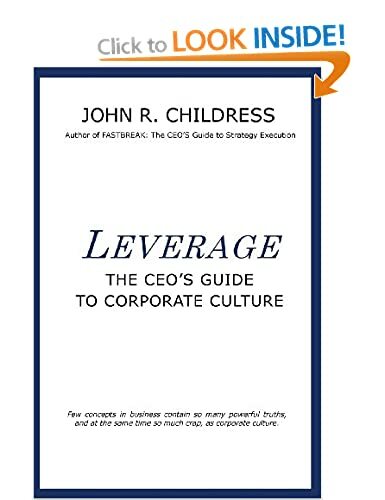 So, instead of focusing on vision, mission and values, like so many other senior teams who don’t have the stomach or discipline to really dig into their business, we focused on four important major elements of an effective business strategy: Competitive Advantage, Strategic Intent, Strategic Imperative and Strategic Approach. By far the most lively discussion among the senior team was about their Competitive Advantage. The first question that came up was are we talking about our current or future competitive advantage? That’s a very good question since we can all be assured that the business environment is going to be different in the future than it has been in the past and some of their previous competitive advantages may not be as effective in the near future. Someone else asked the question of whether we should build a competitive advantage around our core company strengths, or build them around the current and future needs of our customers? This group was on a roll and realizing very quickly that determining their competitive advantage was going to be a challenging exercise. And when we went around the room, giving everyone three minutes to talk about what they thought the company’s competitive advantage was (everyone else had to listen, no interrupting, just deep listening), it soon became clear there was very little alignment in the room. So, we spent a good amount of time getting aligned around the issue of competitive advantage. Challenging, but also very enlightening as the executives in the room were amazed at the diversity of answers, and they thought they were a “well-functioning, aligned” senior team! When was the last time you and your senior team sat down and articulated your company’s competitive advantage? I suggest it is a “must do”, sooner-than-later exercise, especially with the current and future uncertainty of the global marketplace. 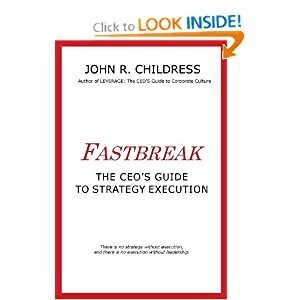 This entry was posted in consulting, corporate culture, leadership, strategy execution and tagged Competitive Advantage, Good Strategy Bad Strategy, Richard Rumelt, Rudy Guliani, Strategic Intent. Bookmark the permalink.